‘Businessmen are the new revolutionaries’ is the mantra of Lawrence Cooley, the founder of Dublin-based IT consultancy Aisling Ltd. When Eoin Cullen is hired to take ownership of Aisling’s corporate story, he soon finds himself won over by Cooley’s brand of messianic capitalism. But there’s at least one malcontent in the ranks who thinks Aisling’s philosophy is 'f**king new age hoodoo voodoo', and Cullen slowly becomes aware that there’s more than meets the eye to the firm’s office politics. 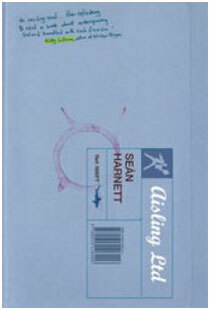 Aisling Ltd is a must-read for anyone who has ever been tempted to murder their boss. Written in sparse, sardonic prose, it is also the first novel to depict the excitement, idealism and hubris that fed the Celtic Tiger.